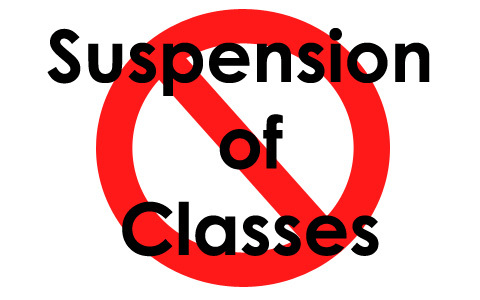 Philippines - Due to the expected landfall of Tropical Storm 'Glenda' in the country, local government unit declared class suspensions in their area. Bagyong Glenda will make its way to Albay on Tuesday morning, July 15. PAGASA already placed 5 provinces under Storm Signal No. 2 with winds of 61-100 Kph, listed as follows. PAGASA also reported that Bagyong Glenda (Rammasun) will continue to move towards Central Luzon. That's why, Muntinlupa officials already advised all preschool and elementary classes are suspended for both public and private on Tuesday, July 15. And more LGU's in Central Luzon will announce class suspensions in their areas for tomorrow. Be here in this page and get your feedback, GoodFilipino will be updating this page once schedule is made. Comments or suggestions about "Suspension of Classes Updates July 15, 2014" is important to us, you may share it by using the comment box below.